Looking for "US Military to FAA Civilian Pilot/Instructor Experience Conversion" Military Competence Test Prep for Mac™? Click here. 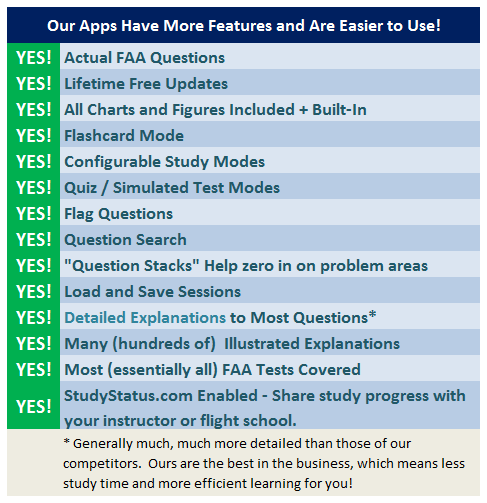 All FAA questions from our editor-managed database Not some measely pared-down question set - you get the full thing complete with our detailed, illustrated explanations, allowing you to do all of your FAA knowledge test prep study right on your iPhone. Integrated Upgrades - get upgrades direclty from our servers. So, when our editors change things, you get access to the latest and greatest quickly. This is REALLY IMPORTANT and we're the only ones that we know of that have this feature. Full, Illustrated Explanations. All charts and figures. Conveniently right htere for you. "The Mac versions are awesome! Thank you for releasing these. I took my Commercial Pilot Airplane (CAX) test last week after studying using the Mac app for a week and scored a 98!" 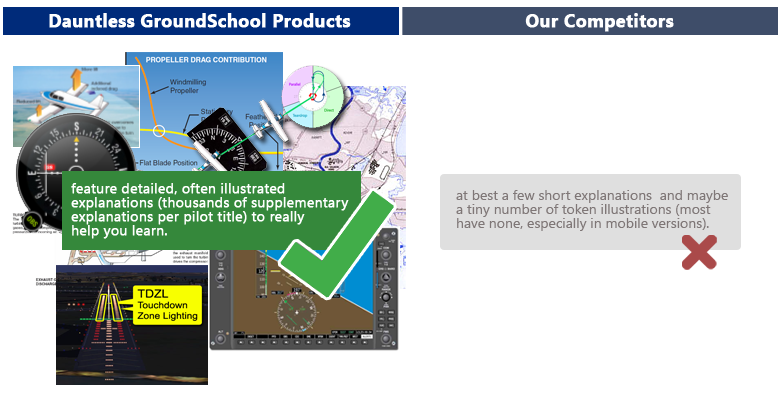 - LT - GroundSchool User. How do I purchase the Mac™ versions? Click on one of the links above. 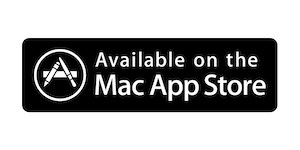 This will take you to the Apple Mac Appstore™ where you can purchase it securely direct from Apple. I want to use both the Mac and iPhone™ / iPad™ (or PC, or Android) software. Can I get a discount? We'd love to be able to offer this. Unfortunately, the Mac™ apps must be purchased via the Mac AppStore and Apple policy does not allow us to co-mingle promotions like this. It's Apple's app store and they set the rules to be a-la-carte pricing and we must abide by them. (In fact, when you order the app, we don't even know that you are one of our customers). Are the Mac™ apps up to date? Here's the really cool thing - the apps feature a built-in update mechanism. What this means is that with just a few clicks, our app will check the internet for updated data and download them to your device as necessary. This is integrated, fast, and free for those who have purchased the app. Usually we recommend that people update to the latest and greatest available as soon as they get the app. Sometimes, our servers may not be available or updates might not work for a short time - if this happens to you, don't panic. What we build into the downloads from the App Store is bound to be fairly recent. No, you don't! Once an app is installed on your device (after you purchase it from the AppStore), you don't need to be actively connect it to use it. This means, for example, that you can spend your time in a passenger seat of an automobile or aircraft studying even when you don't have an active internet connection if you happen to have your MacBook with you. Of course, you need to have an internet connection to your device to get updates from our servers from time to time, but as far as everyday use goes, you certainly do NOT have to be connected to the Internet. The apps feature the same number of questions as the PC software and other FAA test prep titles. Our FAA preps feature question sets very representative of the overall FAA test banks and not just the small 'sample' banks that the FAA have put on their website and that form the basis of vastly inferior competitors' products.